The article below is offered as guidance to members of the public wishing to report cases of ‘cruelty’ to animals. The telephone number of the nearest SPCA will be found in the telephone directory under “Society for the Prevention of Cruelty to Animals” or “SPCA”. Members of the public sometimes witness acts of cruelty to animals and, appalled by what they see, phone the SPCA to report them. Often however, the information that they are able to give, is not enough to enable the Inspector assigned to the case to investigate it thoroughly, and even if legal action is warranted, lack of information impedes successful prosecution. 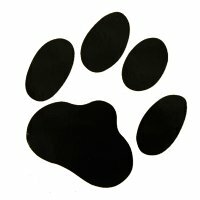 So, what should you do if you see or learn of cases of cruelty? 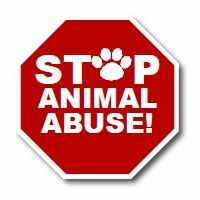 Firstly if the cruelty is something that can be stopped immediately, then stop it. If, for example, a horse or a dog is being unmercifully beaten, intervene if you can safely do so. Of course the sort of person who would mistreat an animal this way would be quite likely to vent his anger on anyone who interferes, and members of the public should use discretion. Few occasions arise when a camera is readily available, but if there should be one, photographs are useful evidence. Your name, address and telephone number. This is necessary for record purposes and also enables the Inspector to inform you of the result of his/her investigation. It is stressed that the policy of the SPCA is to treat all complaints in strict confidence. Names of complainants are not divulged to anybody unless such complainant has no objection. The name (s), address (es) and telephone number (s) of the person involved. The date, time and place of the offence. The names, addresses and telephone numbers of any witnesses. State whether you would be prepared to testify in a court of law. Then give a detailed description of what you saw, as factually and unemotionally as you are able. This is important, for emotion clouds coherence, and important details may be omitted. And finally, don’t be afraid to get involved in any legal proceedings which may ensure. After all, if you feel strongly enough to report the matter in the first place, you should be prepared to assist us do whatever has to be done to set the matter right and bring offenders to justice. The SPCA movement said in the past that it preferred organized fireworks events to the random, individual use of fireworks. But this cannot be taken to mean that pyrotechnics events meet with SPCA approval. In fact, it is our opinion that the vast majority of them are inappropriate and that each one should be judged on its own merits. Perhaps this is another example of events or issues when the SPCA says, “It may be legal but we strongly oppose.” If you do too, then please do not be afraid to make your view known to the organizer (shopping Centre etc. ), local newspapers, councilors in your area and the community whose peace will be shattered by the planned event. Never underestimate the power of public opinion. And, it’s never too soon to start lobbying. If this year’s event disturbed you, let them know NOW before they plan next year’s event. Stay positive. Tell them how much support will be given if they abandon fireworks. Not left to the end because of lack of importance but because we are sick and tired of telling responsible people how to care for traumatized pets, when we should be telling people they are breaking the law and ought to wake up and be responsible. Ensure all animals have identification. If possible, stay home with them if you suspect fireworks fiends are about. Attempt to mask any noise by drawing curtains and playing calming music at a reasonable volume. Put familiar and comforting things around them such as toys, baskets etc. Provide them with something to do such as giving your dog a chewy bone or lots of catnip or a catnip toy for felines. 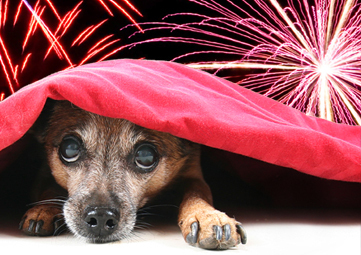 If your pets do react badly to fireworks, then seek professional advice from your veterinarian. Harare SPCA…..Cnr George Rd/Airport Rd, Hatfield.